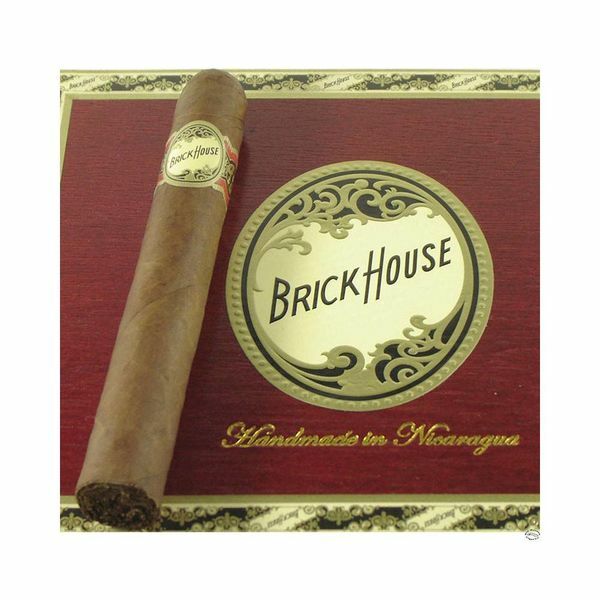 Brick House Corona Larga cigars are Nicaraguan puro’s made with the finest Havana seed tobaccos. The result is a mellow to medium-bodied smoke with exceptionally smooth and very well refined flavor. With savory notes of earth, cedar, spice, coffee, and a long creamy finish, the Brickhouse line is a very tasty smoke. J.C. Newman’s Brick House Corona Larga was rated a 93 and ranked on the 2016 Top 25 Cigars list by Cigar Aficionado magazine. 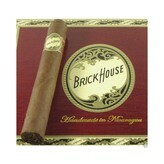 Brick House is a premium hand rolled Nicaraguan puro featuring a Nicaraguan Havana Subido wrapper and Nicaraguan filler. The Brick House Corona Larga is then carefully aged in the mountains of Nicaragua. The medium to full bodied cigar has notes of sweet tea and dark cherry with hints of cedar and spice. The lush, well-balanced flavors offer a delightful smoking experience. The premium cigar lover appreciates fine food, wine, liquor and beer. The best time to smoke a cigar is after a meal, with bourbon, port, cognac or coffee. You can revel in your cigar during your favorite pastime be it golf, shooting pool, walking the dog; just about any time you're looking to enjoy the relaxation and fulfillment provided by a great cigar. Order your cigars online from elcigarshop.com and be assured that you will be enjoying them quickly. If you are ever in the Tampa region, visiting the J.C. Newman Cigar Company should be tops on your list. The building is not your ordinary factory. The sprawling brick building has a large clock tower and is surrounded by palm trees and lush native plants. Inside is even more impressive, featuring exposed brick walls adorned with cigar artifacts and rare photos. The hard wood floors and antiques exude warmness. Also on view, the company has restored “El Reloj” or” the watch”. Enclosed in glass, this enormous clock face from 1910 is a tribute to the Ybor City clock tower. Tours are available and there is a small museum and cigar shop available to visitors. A great place to explore!